The Progressive Torah is an English-based translation of the Scriptures that progressively restores more and more of the Hebrew language. By focusing on Reading the Scriptures, Hebrew can now be more naturally assimilated; much the same way lots of folks have learned that "Shalom" means "Peace" -- from exposure, exposure, exposure. The Color Format color-codes the hebrew, making a distinction between the various hebrew words, while the Black & White Fortmat has no color differences in the text. 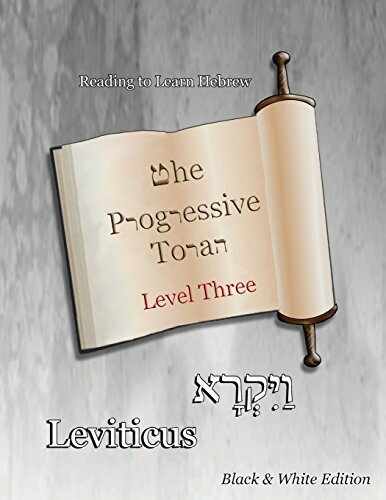 Level Three of The Progressive Torah contains the complete book of Leviticus. The focus of the restoration centers around the priesthood and things pertaining to it. All direct quotes of the Creator are completely restored into the Hebrew with a line by line translation. The Reading to Learn Hebrew method allows you to focus on the Scriptures while the Hebrew just kind of soaks into your brain! So Read More Scriptures to Learn More Hebrew! If you have any questions about this product by Minister2Others, contact us by completing and submitting the form below. If you are looking for a specif part number, please include it with your message.